We supply a wide variety of sterndrive and outboard motor propellers for many applications and from many different suppliers. We have been supplying Michigan Wheel products for over 20 years and we are also supply Genuine Volvo Penta and Quicksilver propellers. Please select your engine, propeller or sterndrive propeller model from the menu. Should you require a propeller that is not shown, or if you require clarification on the correct propeller for your boat, please contact us and we will do our best to help you. Note: Manufacturers usually mark their products with part numbers. Please have a careful look for any marking on your existing propeller, which may have been painted over several times. This information is important as it helps us to supply the correct replacement in order that boat performance is maintained. 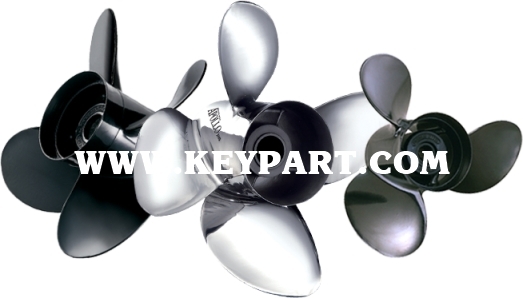 For more information on sterndrive propellers and outboard motor propellers feel free to contact us through sales@keypart.com or call us on +44(0)1923 276000. Our team will be able to help with all propeller enquiries.